JACKSONVILLE, Fla.--(BUSINESS WIRE)--Eagle LNG Partners (“Eagle LNG”) announced today that it reached a major milestone, receiving the Final Environmental Impact Statement (“FEIS”) from the United States Federal Energy Regulatory Commission (“FERC”) to construct the Jacksonville LNG Export Facility. This is the final step in the environmental review process before the final Federal Authorization Decision Deadline and anticipated FERC approval of the project. 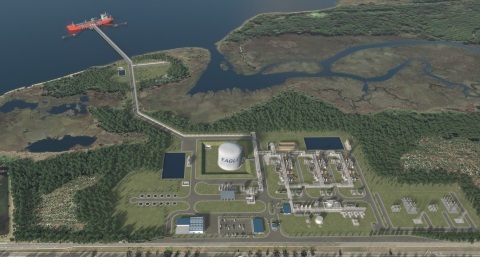 Eagle LNG Partners today received a Final Environmental Impact Statement (“FEIS”) from FERC for its proposed Jacksonville LNG Export Facility.